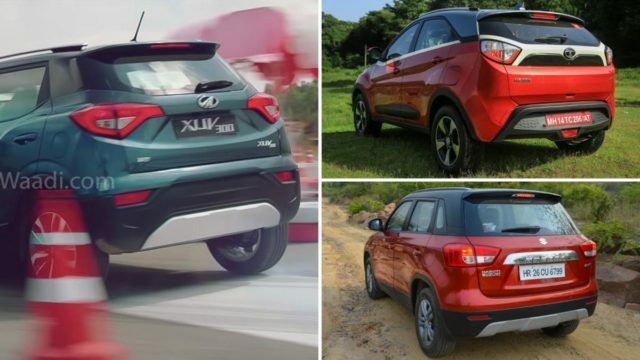 While the upcoming Mahindra XUV300 is expected to make a huge impact in the sub-four-metre SUV segment against fellow rivals Maruti Suzuki Vitara Brezza, Tata Nexon and Ford EcoSport, there is one contrasting difference that needs to be addressed by us. 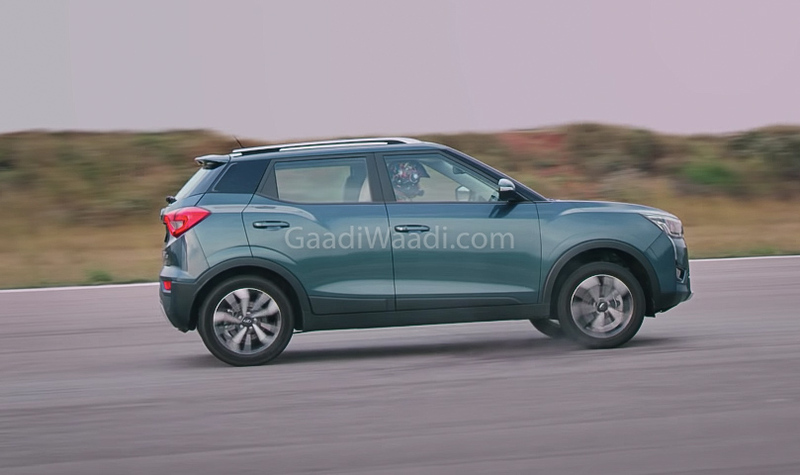 The Vitara Brezza leads the segment in volume sales and it has an upright boxy SUV stance while Tata Nexon is the more modern product in the segment in terms of age and design. The Vitara Brezza looks the more authentic SUV of the bunch with an upright profile but the front fascia has largely been underwhelming. Not to say disappointing though, as it has clean lines and thick chrome grille with Suzuki badge and a rather no-frills bumper section with rounded headlamps, and aluminium skid plate underneath the body. Tata Nexon takes the design approach of a compact SUV to the next level with the signature humanity line, boomerang-styled LED DRLs, swooping headlamp assembly, clamshell bonnet and a gaping lower bumper. It is the well thought out design of the three as a whole with the clever use of cladding all around protecting the vehicle from scratches and it does have a robust appeal when viewed from the front. The upcoming Mahindra XUV300 can be credited with being a smaller version of the XUV500 with the entire front portion taking plenty of influence from the more premium sibling (signature horizontal slats and DRLs for example). It has the sleeker headlamps and bumper unit among the three with horizontal louvres adding extra dynamism. Being a Mahindra SUV, it has an overall aggressive facade with the flowing LED DRLs an absolute standout. Tata Nexon has the best-looking side profile by a country mile with the distinctive raising character and belt lines. The coupe-ish roofline does not hamper the interior occupant space and the dual-tone finish is as exquisite. The Vitara Brezza continues the theme of upright design elements with tall pillars but the two-tone finish does come in handy giving a more in-the-face appeal. Speaking about in-the-face appeal, the XUV300 does have it all across its bodily surfaces. Contrast paint schemes could do a better job of it as it replicates the SsangYong Tivoli from the sides in a striking and compact manner. Tata Nexon’s 16-inch alloy wheels further elevate the styling bits but the XUV300’s 17-inchers are a step above the competition. 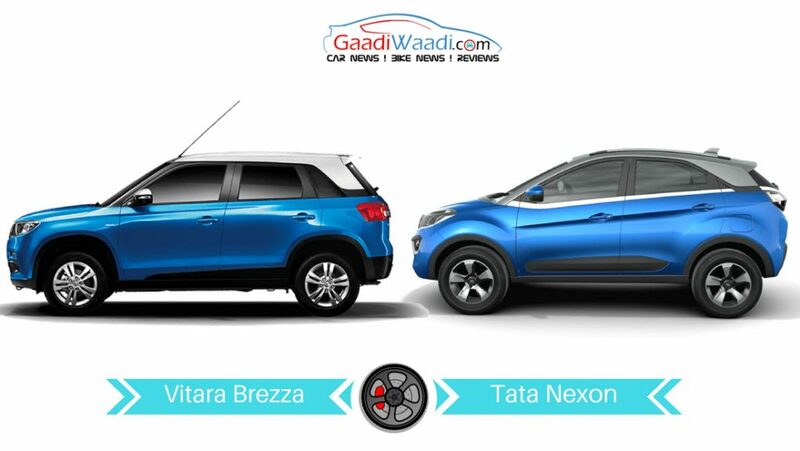 The Vitara Brezza’s rear end is pretty straightforward while the Nexon’s has to be the intriguing of the three models. The best-selling SUV in the country has a slightly slanting trunk lid offering better visibility to the driver than the Nexon. The Mahindra XUV300 appears to be the best of the three as it has attractive styling with LED tail lamps and form-to-function attitude. The Vitara Brezza has a spacious interior due to its tall proportions but the Nexon is brimmed with modernity with dual-tone dashboard finish, good use of the central tunnel, doors for space and appreciable use of premium touches. 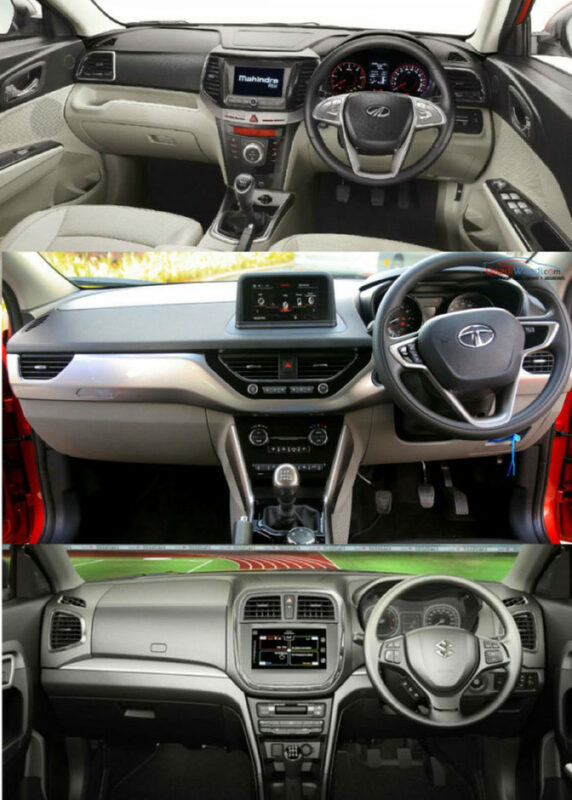 The XUV300 comes close to Nexon by the looks of things in terms of the dashboard design, as it is also dual tone, but we will have to wait and see how it feels when tested in the real world. Likewise, it will be interesting to see how the XUV300 stakes up against Nexon and Brezza in terms of performance. It is powered by a 1.2-litre turbocharged petrol engine and 1.5-litre D15 diesel engine from Marazzo making 200 Nm and 300 Nm respectively – both are best-in-class. 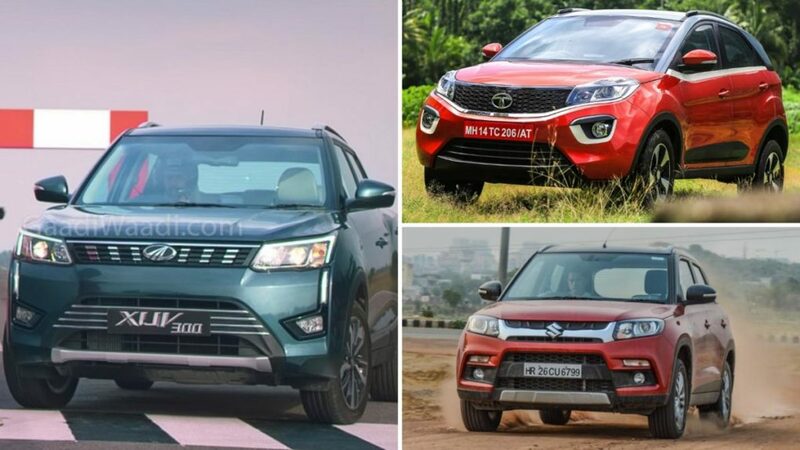 The Nexon’s 110 PS/170 Nm Revotron petrol and 110 PS/260 Nm diesel units will make for a tasty comparison with the XUV300 while the Vitara Brezza is only sold with a 1.3-litre 90 PS/200 Nm diesel motor.